Alfred Bittins received a commercial education. In 1933 he took a job as production assistant at a movie company. In 1935 he was appointed production manager at Delta Film. His first project was "Friesennot", a propaganda movie against communism. He worked for other small companies like Terra and Tobis, but only after the war his projects were more succesful. In 1950 he married the actress Heli Finkenzeller. During the 1960s he made several comedies for Piran Film before he continued his career as an independent producer. He died in 1970 in Berlin. His son Michael (1941) became a film producer as well. 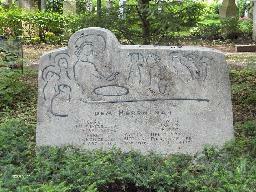 The grave of Will Dohm, Heli Finkenzeller and Alfred Bittins at the Waldfriedhof, Munich.